The venue is the fabulous C&C Ranch (click to enlarge). 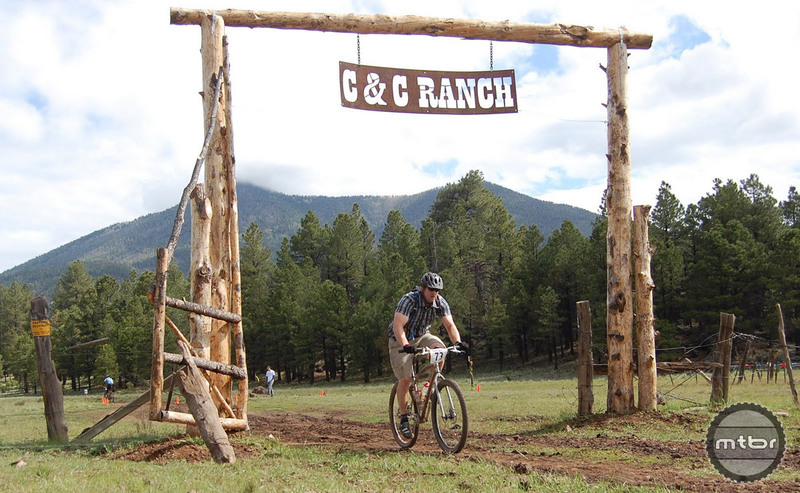 We’ve often heard about the great riding and cool weather of Flagstaff, Arizona. Here is your chance to experience its glory in September, while the rest of the state experiences very warm temperatures. It is a Leadville qualifier but it’s not just for endurance athletes. There’s fun to be had for all levels with a wide array of ride options. What’s required is a spirit of adventure and the readiness to party. 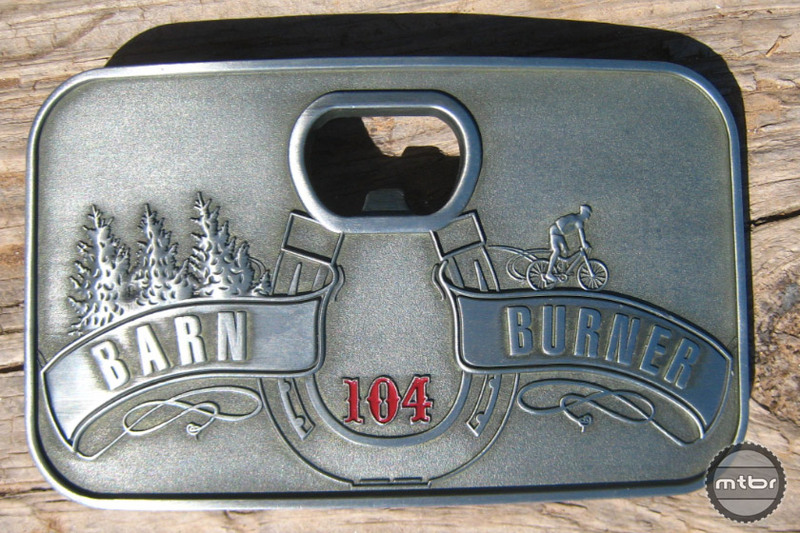 The buckle is available for 104 mile competitors. The large buckle is for athletes who finish under 9 hours and the small buckle is for under 11 hour finishers (click to enlarge). 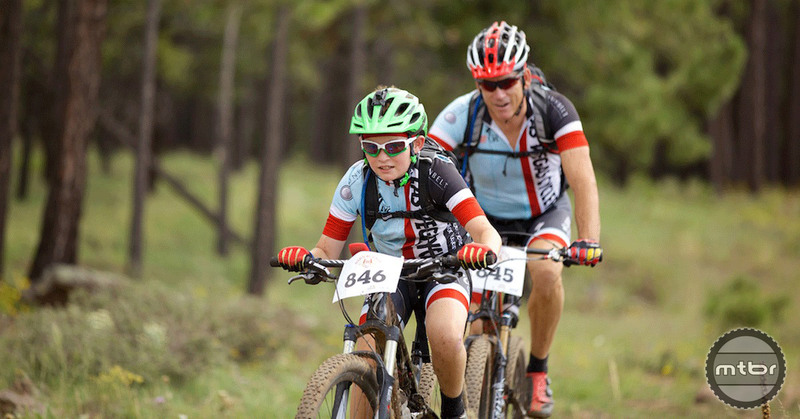 The endurance mountain bike event offers something for everyone with 26-mile, 52-mile and 104-mile race options. If Leadville is on your bucket list, the 104-mile solo ride will be your first chance to score a spot for 2017. The event kicks off on Friday night with live, acoustic music during packet pickup. The party continues after the race on Saturday with beverages being provided by Four Peaks Brewing Company and a family-friendly movie beginning at dusk. Participants are encouraged to enjoy the cool temperatures all weekend long by camping out under the stars on private land. Registration is now open both online and through paper forms. There is no better way to get the family hooked with the mountain biking lifestyle (click to enlarge). The race is September 10, 2016 at C & C Ranch at FSR 180 and FSR 793 in Flagstaff, AZ. Race begins at 7 a.m. followed by awards ceremony and post-race party at 6pm. For more information visit www.barnburnermtb.com. The venue is the fabulous C&C Ranch. The buckle is available for 104 mile competitors. The large buckle is for athletes who finish under 9 hours and the small buckle is for under 11 hour finishers. There is no better way to get the family hooked with the mountain biking lifestyle.